Lauren, a Shawnee resident, graduated from Shawnee Mission North and then continued her education by attending classes at Emporia State University. 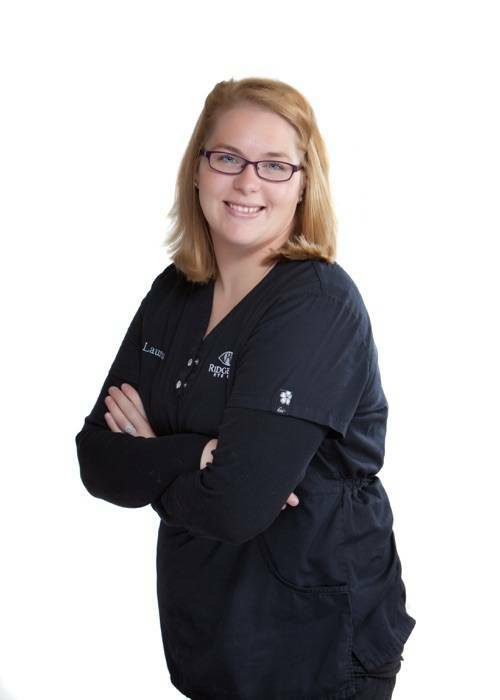 Lauren was in the banking field for two years before joing the our team at Ridgeview Eye Care. In her free time, Lauren enjoys spending time with family and friends, reading, and going to the lake during the hot Kansas summers! Lauren has been a tremendous addition to the staff at our office. While Lauren is relatively new the optical industry she is quickly learning all the skills necessary to provide great patient care and service.